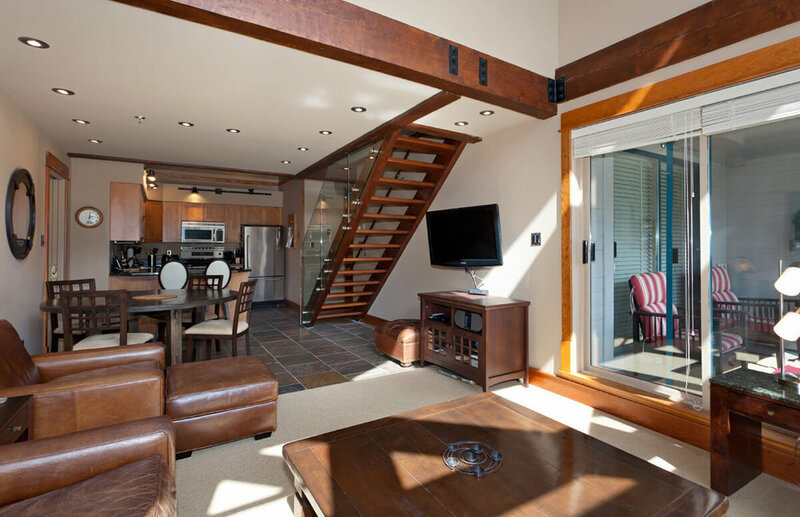 Welcome to our beautiful ski in-out two bedroom and loft home, one of the premier top-floor units located in Greystone Lodge on Blackcomb Mountain in Whistler, ranked #3 out of all Whistler Specialty Lodgings by Trip Advisor! 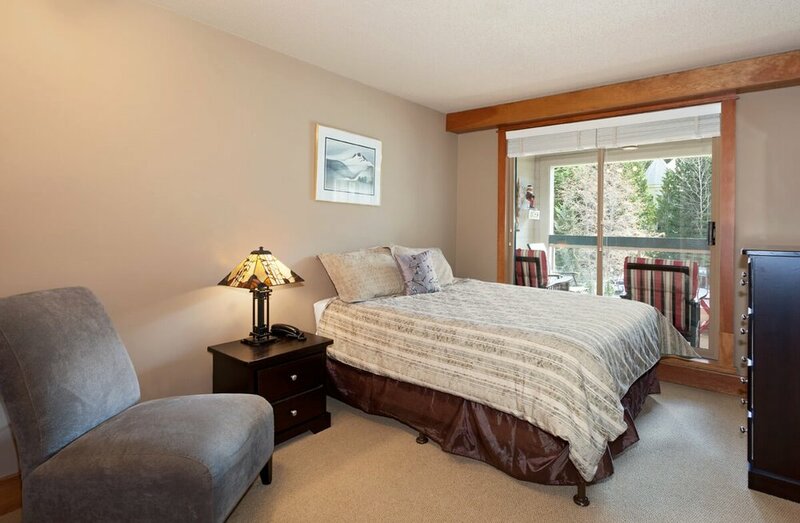 This top-floor, south-facing vaulted ceiling unit is quiet, bright and spacious for a relaxing Whistler vacation for winter or summer. Greystone Lodge is unique among the properties on Blackcomb in that there are only 50 units, creating greater privacy, less noise, and fewer people using the indoor and outdoor hot tubs, change rooms and the outdoor heated swimming pool. Within a very short walking distance guests will find a ski school, ski and snowboard rentals, bike rentals, restaurants, a liquor store, a small grocery store and various retail outlets. The walk to the main Whistler Village will take around 10 minutes on foot, or a free village transit bus comes every 7 minutes in the Winter and every 15 minutes during the other months. The bus stop is a short walk from the lobby. Greystone is perfectly located for year-round activities. Golfers can enjoy the renowned Chateau Whistler Golf Course, a short walk from the Lodge. Lost Lake Park is located only minutes from Greystone Lodge with easy hiking, mountain biking, picnicking, beach and swimming and fishing in the summer months and Nordic ski trails in the winter, and night toboganning is right beside the unit. The luxurious Spa at Whistler Fairmont Resort is a 5 minute walk. The base of Blackcomb turns into a children’s paradise in the summer when it is converted into a giant playground hosting horseback riding, a climbing wall, various rides and amusements, mini-golf, and more. In addition, on summer weekends the Whistler Farmer’s Market features locally made crafts and foods at the base of Blackcomb Mountain. Click below for rates, live availability and to make your reservation.